Having been a well-established fast-food joint for almost fifteen years, Lord of the Fries is always bringing onboard new menu items to spice things up! 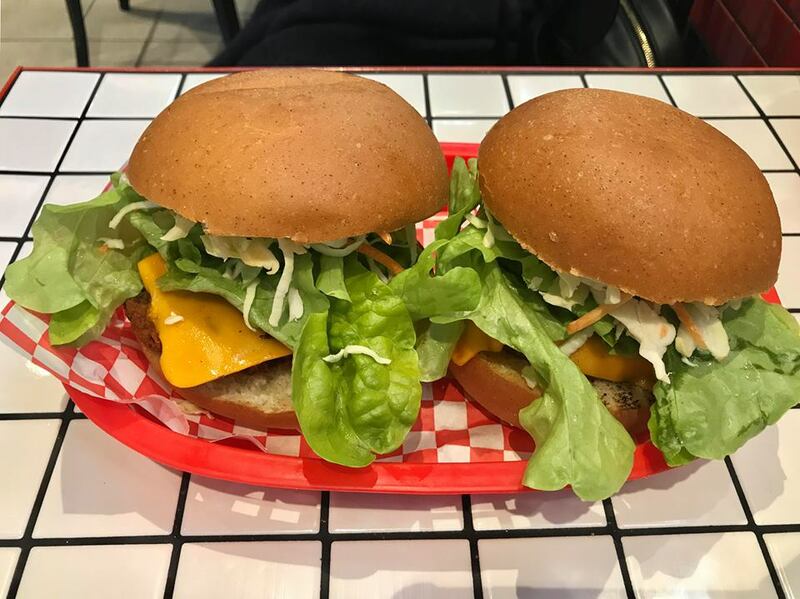 Hailed as ‘the beginning of a vegetarian fast food revolution’, Lord of the Fries has been serving up a wide array of burgers, fries and hot dogs to Adelaide’s hungry citizens for almost two years now. With a delicious, thick buffalo sauced ‘chick’n’ (vegetarian chicken) patty, served with coleslaw, (veg) bacon, vegan cheese, lettuce, mayo in a fluffy bun, this burger offers something different to LOTF’s menu. The patty itself was salty with a slight kick to it but was balanced well with the creamy mayo and refreshing lettuce and slaw. With the patty here being a little tougher than some of LOTF’s other fillings, it provides an interesting textural combination, especially with the crunchy slaw. Along with their new burger, LOTF has also released a new loaded fries option – Hawaiian Pizza Fries! Just like a Hawaiian pizza (no surprises there! ), there was a good fries to toppings ratio, with the vegetarian ham and juicy pineapple contrasting in flavours and the vegan cheese and Napoli sauce adding extra flavour and texture. Not to mention, the chunky fries had a nice crisp to every bite! Both the Buffalo Chick’n Slaw Burger and the Hawaiian Pizza Fries are around for a limited time only so make sure to pop in to try them before they disappear! Lord of the Fries has two locations in Adelaide, one on the CBD’s Hindley Street and another on Glenelg’s Jetty Road. The CBD’s store is open from 10am til 9pm Sundays to Thursdays and til late Fridays and Saturdays. The Glenelg location is open from 10:15am til 9pm Sundays to Thursdays and til 11pm Fridays and Saturdays.